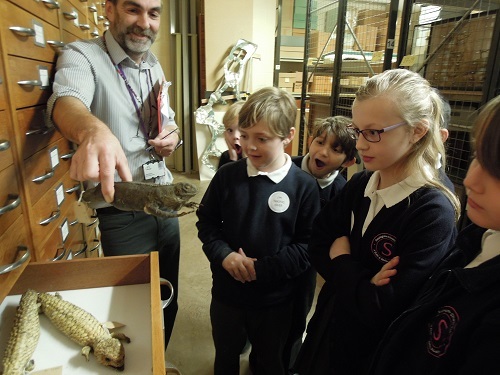 Staplegrove Church School's Takeover Day at the Somerset Heritage Centre. 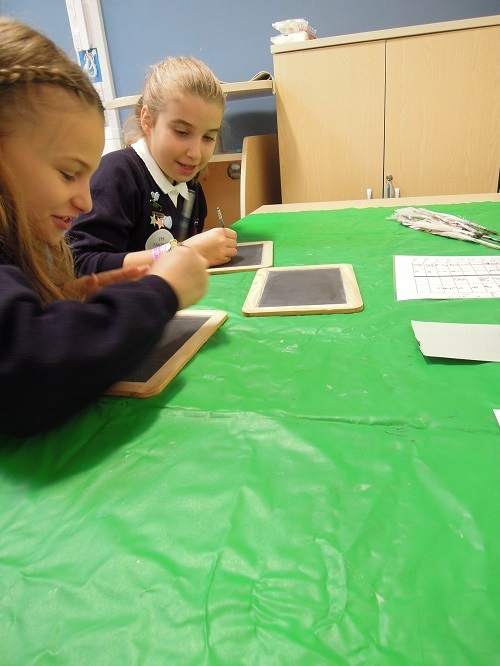 Today Staplegrove Church School took part in Takeover day at the Somerset Heritage Centre. This about how we got on with our day! As we made our way downstairs, one of the groups had three children work at reception, while the other worked in the research room. 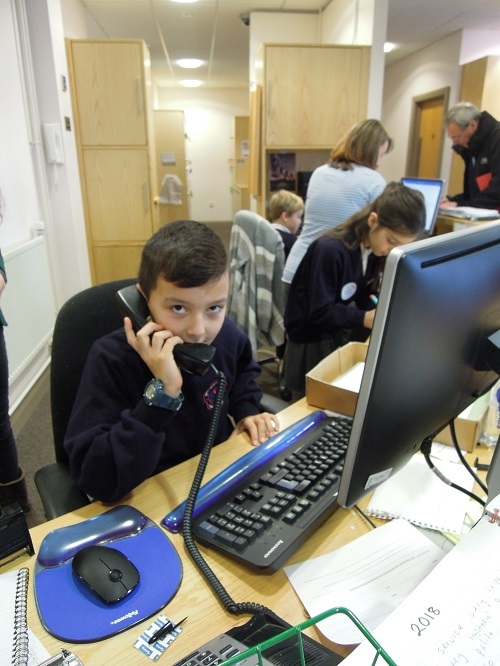 Some of the activities were answering phones, sorting out files and loads more. At reception we even had a visit from someone from Argentina! 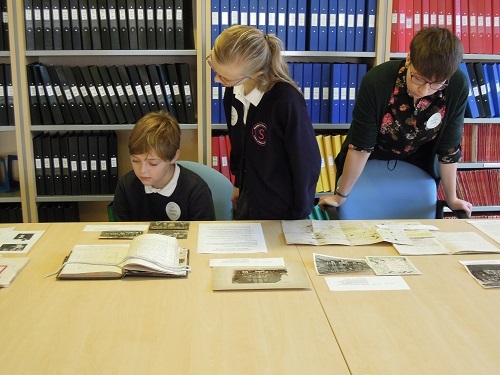 The group in the research room were sorting local newspapers all ready to go in to the archives. We were then shown the strongrooms where the archives are held, over 40,000 ancient documents are stored here! In the other building we were shown a massive collection of stuffed animals from hundreds of years ago. 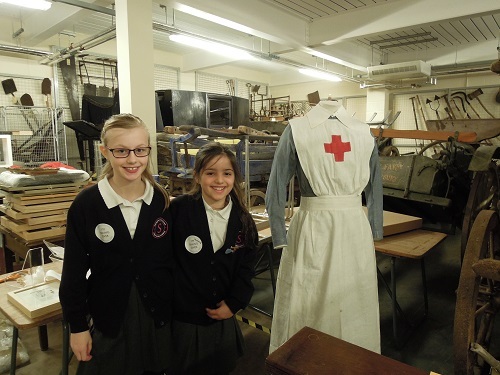 We also saw a First World War nurses uniform that was used during the war. In the room they also had lots of huge machines that were once used on farm. There was even a Roman coffin! Bob, one of the archaeologists showed us some objects from the Victorian period that they had thrown away, such as cow bones and clay pipes! Upstairs, we were doing a sorting activity, finding out about how they wrote in different time periods. The Romans wrote on parchment and wax, the Tudors used paper and the Victorian’s invented the first typewriters. 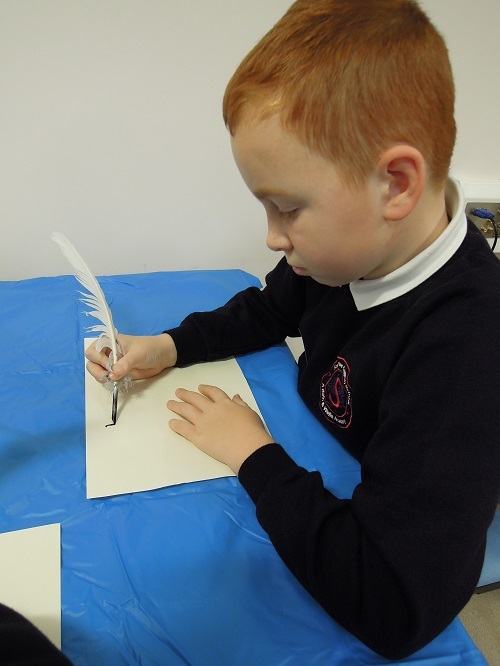 After that we had a go at writing like a Victorian child, we were given sheets to show how Victorians wrote. We started off on slate with pencils but moved on to parchments, quills and ink. 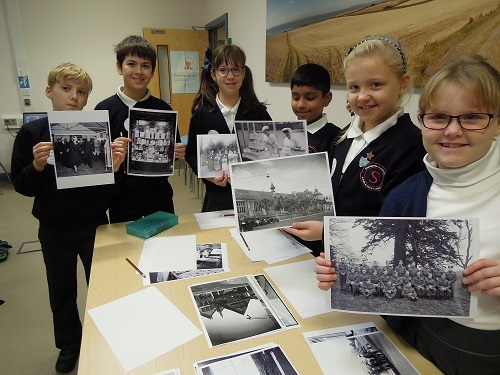 Next, we moved on to our next activity, which was sorting photographs into different categories and labelled them. We also wrote a short paragraph about each old picture. This helps people find the photographs more easily, as they can see what the photograph is showing when they search for them.